Pharmex Direct Inc. is proud to introduce its new app for the iPhone and iPad. It allows you to manage your prescription profile and order your prescriptions quickly and easily using your apple devices. Our Pharmacy is dedicated to providing the best possible care to meet your family’s health and wellness needs. 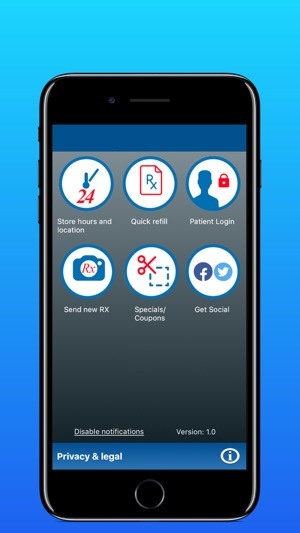 Quick Refills: Refill your prescriptions by typing your phone number and prescription number(s). Profile Login: Login using a card number and PIN issued to you by your pharmacy. See your current prescription profile on your device. Place order by simply click the check-box next to your prescription.